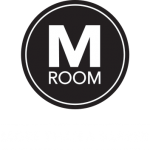 M Company Oy (“M Company”, “we”) has developed and owns the M Room concept (“M Room Concept”) for men’s barber shops. We also provide and manage the www.mroom.com website (“Website”) and the M Room mobile application (“M Room App”). We collect two types of information from the Users: User Data and Technical Data. Although we do not normally use Technical Data to identify individuals, sometimes individuals can be recognized from it, either alone or when combined or linked with User Data. In such situations, Technical Data can also be considered to be personal data under applicable laws and we will treat the combined data as personal data. In addition to the above mentioned, we obtain User Data from registers maintained by the authorities and customer default registers as well as other reliable private and public registers. We use various technologies to collect and store Technical Data and other information when the Users visit the Website, including cookies. The Website uses Google Analytics and other web analytics services to compile Technical Data and reports on visitor usage and to help us improve the Website. For an overview of Google Analytics, please visit Google Analytics. It is possible to opt-out of Google Analytics with the following browser add-on tool: Google Analytics opt-out add-on. We process personal data in the first place to be able to offer the Services to the Users, to process and verify payment transactions as well as for customer verification. We also process the personal data provided by the Users in order to develop the quality of our Services, for instance by analyzing the services and products the Users have purchased in the M Room Shops and by analyzing the areas of the Website the Users have visited. We process personal data for the purpose of maintaining our customer relationships with the Users, for instance by contacting the Users regarding the Services. We also process personal data of the Users in order to inform the Users of changes relating to the Services. We use personal data for marketing and advertising the services and products provided by us, e.g. to customize the User’s experience by providing the User with targeted offers and advertising based on the information gathered from the User during his/her previous visits to the Website. If the User contacts us to give feedback with respect to our Services, we will use the provided information for answering questions and solving possible issues. We process personal data to perform our contractual obligations towards the Users. Furthermore, we process personal data based on our legitimate interest. Our legitimate interest is based on running, maintaining and developing our business, improving the customer or visitor experience of the Users as well as on marketing our services and products. In some parts of the Services, the Users may be requested to grant their consent for the processing of personal data. In this event, Users may withdraw their consent at any time. M Company stores the Users’ personal data primarily within the European Economic Area. However, we have franchising partners and service providers in several geographical locations. As such, we, our franchising partners and our service providers may transfer personal data to, or access it in, jurisdictions outside the European Economic Area or the User’s domicile. We will take steps to ensure that the Users’ personal data receives an adequate level of protection in the jurisdictions in which it is processed. We provide adequate protection for the transfers of personal data to countries outside of the European Economic Area through a series of agreements with our service providers based on the Standard Contractual Clauses or through other appropriate safeguards, such as the Privacy Shield Framework. We may share personal data with third parties outside M Company’s organization if we have a good-faith belief that access to and use of the personal data is reasonably necessary to: (i) meet any applicable law, regulation, and/or court order; (ii) detect, prevent, or otherwise address fraud, security or technical issues; and/or (iii) protect the interests, properties or safety of M Company, the Users or the public in accordance with the law. When possible, we will inform the Users about such transfer and processing. We may share personal data with third parties outside M Company’s organization for other reasons than the ones mentioned before, when we have the User’s explicit consent to do so. The User has the right to withdraw this consent at all times. We delete or anonymise the personal data in our possession relating to the User at the latest after 6 (six) months have passed from the termination of the User account and membership of the User in our Services or when we no longer have legitimate grounds to store such data (e.g. for the purposes of processing claims relating to the purchases the User has made from us or our franchise partners or affiliates) or when we are required by law or accounting standards to store such information in the form of personal data. The Users have the right to access your personal data processed by M Company. The Users may contact us on any of the addresses indicated above, and we will inform what personal data we have collected and processed regarding the said User. In case the processing is based on a consent granted by the User, the User may withdraw the consent at any time. Withdrawing a consent may lead to fewer possibilities to use the Services. The withdrawal of consent does not affect the lawfulness of processing based on consent before its withdrawal. The Users have the right to have incorrect or incomplete personal data we have stored about the User corrected or completed. By contacting us on any of the addresses indicated above, the User may update e.g. his/her contact details or other personal data.  The User Data provided by the User on the M Room App may be updated on the M Room App. The Users may also ask us to delete the Users’ personal data from our systems. We will comply with such request unless we have a legitimate ground not to delete the data. Such legitimate ground may be based on e.g. applicable legislation. The Users may object to the processing of personal data if such data are processed for other purposes than purposes necessary for the performance of the Services to the User or for compliance with a legal obligation. In case we do not have legitimate grounds to continue processing such personal data, we shall no longer process the personal data after your objection. The Users may request us to restrict processing of personal data for example when your data erasure, rectification or objection requests are pending and/or when we do not have legitimate grounds to process your data. This may however lead to fewer possibilities to use the Services. The Users have the right to receive their personal data from us in a structured and commonly used format and to independently transmit those data to a third party. The above mentioned rights may be used by sending a letter or an e-mail to us on any of the addresses set out above, including the following information: name, address, phone number and a copy of a valid ID. We may request the provision of additional information necessary to confirm the identity of the User. We may reject requests that are unreasonably repetitive, excessive or manifestly unfounded. Notwithstanding any consent granted beforehand for the purposes of direct marketing, the User has the right to prohibit us from using the User’s personal data for direct marketing purposes, market research and profiling made for direct marketing purposes by contacting us on the addresses indicated above or by using the functionalities of the M Room App or the unsubscribe possibility offered in connection with any direct marketing messages. The User can lodge a complaint with the local supervisory authority for data protection, in case the User considers M Company’s processing of personal data to be inconsistent with the applicable data protection laws. We use administrative, organizational, technical, and physical safeguards to protect the personal data we collect and process. Measures include for example, where appropriate, encryption, firewalls, secure facilities and access right systems. Our security controls are designed to maintain an appropriate level of data confidentiality, integrity, availability, resilience and ability to restore the data. We regularly test our Services, systems and other assets for security vulnerabilities. Should despite of the security measures, a security breach occur that is likely to have negative effects to the privacy of the Users, we will inform the relevant Users and other affected parties, as well as relevant authorities when required by applicable data protection laws, about the breach as soon as possible.